The history of plumbing is extremely long and didn't always involve indoor plumbing. While we often take modern indoor plumbing for granted, it hasn't always been so convenient. So, when was indoor plumbing invented? The most important advancements in plumbing history occurred over several millennium to contribute to what we now have as our modern day plumbing. Archaeologists discovered the first water pipes in the Indus River in India, dating back to 4000-3000 B.C. Egyptian ruler Menes also supported a thriving civilization by constructing canals, irrigation ditches, and basins. Egyptians developed copper pipes in order to build sophisticated bathrooms with irrigation and sewage systems inside pyramids. Believing the dead required food, clothing and other such essentials in the afterlife, Egyptians installed bathrooms in tombs as well. Around this time, sitting toilets appear in the Harappa civilization (now India), although it is not known exactly who invented the toilet. Under the reign of King Minos, the people of Crete created elaborate sewage disposal and drainage systems with underground channels. 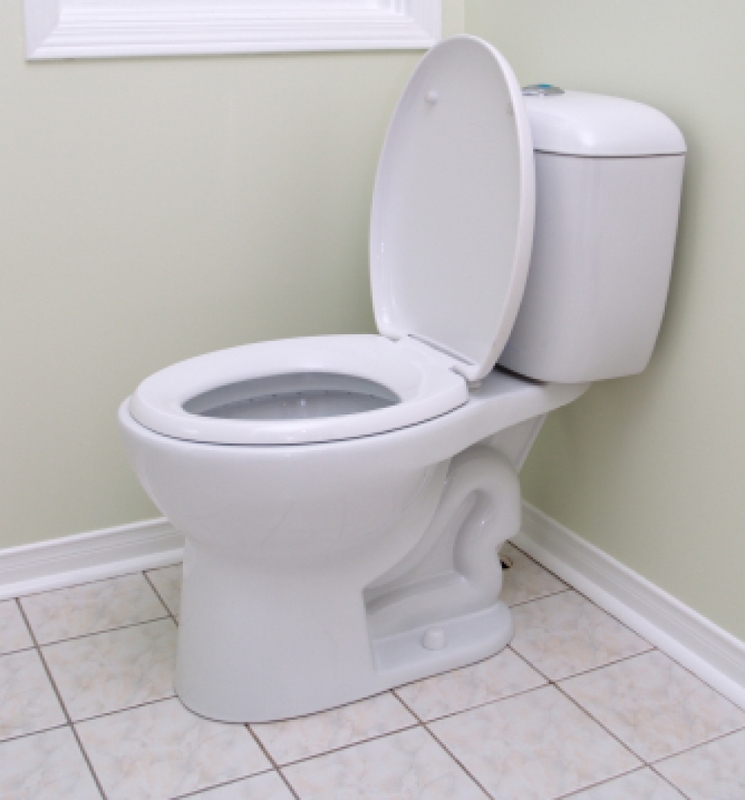 During the same period, the first flushing toilet was invented, complete with a wooden seat. Archeologists have also discovered a bathtub resembling cast-iron ones from the late 19th century in America. Sargon the Great, Assyrian king, invented the first shower by having slaves on ladders pour water over him while he bathed. 500 B.C. - 455 A.D. The Roman Empire developed complex ancient plumbing systems along with aqueducts, underground sewers, public baths, bronze and lead piping systems, and even marble fixtures. Around 52 A.D., Rome boasted an estimated 220 miles of aqueducts, pipes and water channels used to supply baths, homes and public wells. The water channels were powered by gravity and carried 300 gallons of fresh water for Rome's citizens. Sir John Harrington, godson of Queen Elizabeth I, designed the first flushing toilet for his godmother -- first used in the Richmond Palace. He also created a flushing water closet for himself at his home. The contraption included a seat, a bowl, and a water cistern behind the seat. King Louis XIV of France ordered the construction of a cast-iron main plumbing line. The line carried water approximately 15 miles from a plumbing station to the palace fountains as well as surrounding areas. The prototype for the modern toilet was first developed by Scottish inventor Alexander Cummings. Sir John Harrington’s water closet was able to flush, but it did not have a water trap. Cummings’ prototype included an S trap (which was a sliding valve between the bowl and the trap) that allowed some water to stay in the bowl. As a result, the water no longer smelled like sewage, and the bowl could be easily cleaned after every use. Philadelphia was the first city that switched entirely to cast iron pipes to create their new system of water delivery. The English Regency shower was first introduced in 1810 A.D. The water is plumbed through a nozzle and then sprayed at shoulder level. The water was then collected and pumped through the shower again. Tremont Hotel of Boston was the first hotel of its kind to feature indoor plumbing for guests. Eight water closets were built by Isaiah Rogers. Until 1840, indoor water closets were commonly found in the homes of the rich and luxury hotels. Soon, soap was introduced during bathing and catches on for hygiene purposes. The White House was first plumbed with running water on the main floor. Upstairs plumbing was later introduced when President Franklin Pierce was in office. Chicago was the first city in the country to have a comprehensive sewer system. Thomas Crapper patented his valve-and-siphon design, updating the modern toilet in the process. His work revolutionized the modern concept of plumbing. John C. Flood was first founded in Washington, D.C. in 1904. The company started serving Northern Virginia and Maryland as it grew. The elevated water tank became the most contemporary closed toilet water tank and bowl that most people have in their bathrooms today. Due to a shortage of copper after wartime requirements, non-metallic, and plastic piping systems were first introduced for toilets. The first sensor-flushing toilets were introduced in Japan. The International Code Council (ICC) was formed through the union of three model building code agencies. This Council helps to ensure that all future developments and endeavors follow a strictly enforced code and standard in all their projects. Modern day plumbing is advanced. Not everyone has time to be a plumbing expert — we get it! If you don’t have time to inspect if your own plumbing is up to par, call the Virginia plumbing experts at John C. Flood (202) 794-6179 or schedule service online.